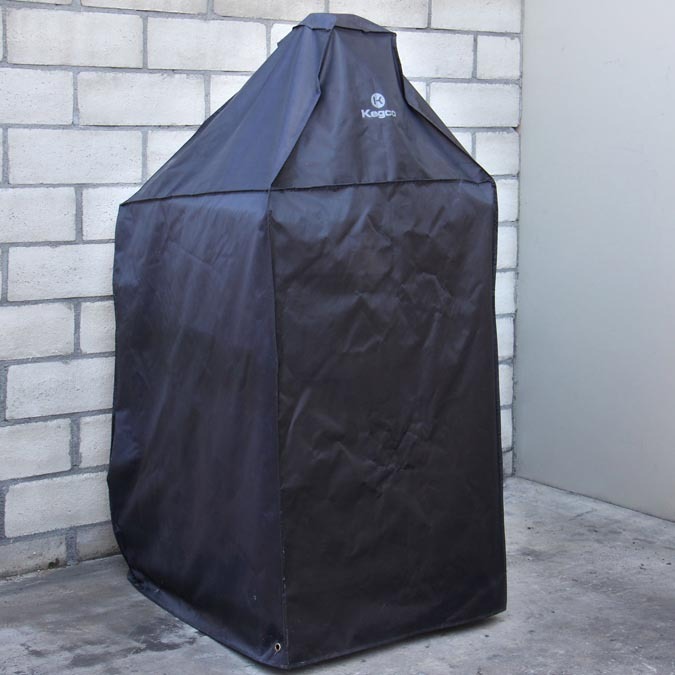 Featuring a high-quality hard polyester construction, this durable and heavy-duty commercial kegerator cover from Kegco is a must-have for any business owner who wants to extend the life of their beer dispenser. 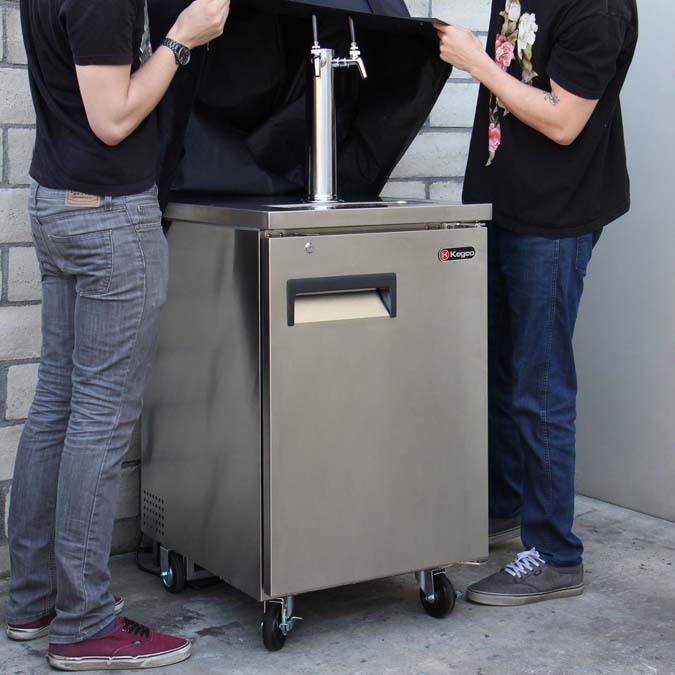 The generous 24.5" W x 33" D x 39.5" H size covers both the keg beer cooler and the draft beer tower, giving your keg cooler, draft tower, beer faucets, keg taps, and kegs convenient and reliable protection against nature's harshest elements. 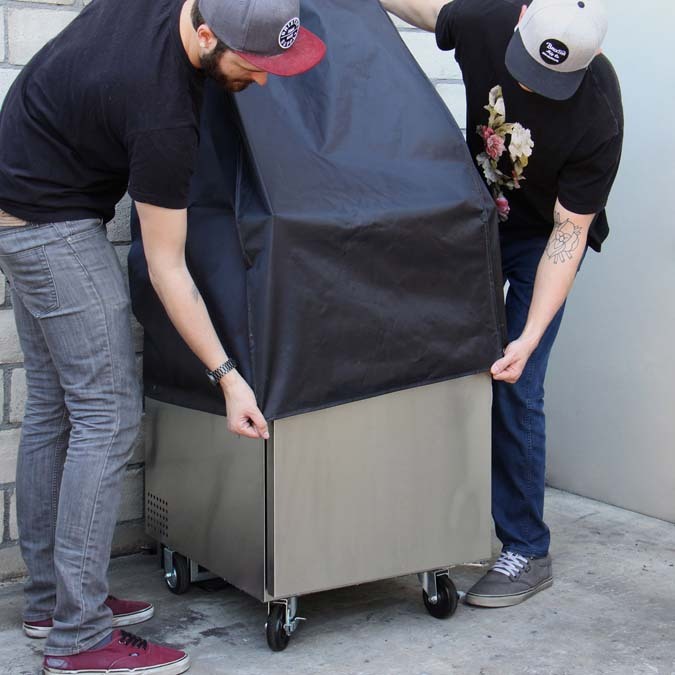 No matter where you're located, this kegerator jacket will protect your valuable keg dispensing equipment from everyday dust, dirt, salinity, condensation, rust, corrosion, and UV exposure as well as stormy conditions like wind, rain, sun, snow, and hail. The high-quality material is rip and water resistant and features bound edges and reinforced stitching for maximum protection. Specially designed to be the perfect fit for commercial keg beer coolers, this kegerator cover is compatible with brands like Kegco, Beverage Air, Everest, Fagor, Turbo Air, True, UBC, Avantco, Edgestar, and many more. Don't wait, start protecting your kegerator today! WARNING: Unplug refrigerator while covered. Running refrigerator while covered presents a risk of fire and/or permanent damage to refrigerator.